This is a re-post of a previously published post. In the wind-down weeks of Spring, we will focus on big-picture planning for your career trajectory in the immediate and longer term. When I trained my own Ph.D. students, I always urged them to create a 5-year plan. Some did it as a list, and some as a grid. Either way, the plan laid out a month-by-month schedule of plans and goals and deadlines for the next five years. My very first Ph.D. student was a master of the 5-year plan (indeed, she’s the one who inspired me to make it a regular requirement), and she just got tenure at an R1 this spring! Major funding deadlines, including both small grants to support short research trips, and large grants to fund dissertation fieldwork. Some of my clients are masters of the five-year plan, and even have things like getting pregnant in there. I admire that, even while I know that “the best laid plans…” You can’t plan for everything (or, you can, but your plans may not work out). 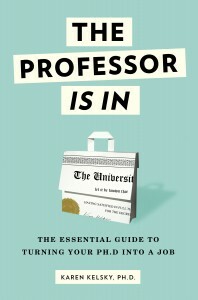 But the core point of planning is this: that you’re taking control of your process into your own hands, and not leaving it out there somewhere, in the hands of your advisor, your department, or “fate.” You decide when you’ll write, when you’ll defend, when you’ll publish, and so on. These are all your decisions to make. Addendum: please see more on the 5-year plan, with an example, in this follow-up post. At what point in graduate school do you think it’s realistic to start making a 5 year plan like this? In experimental psychology, having that list of research papers with deadlines sounds ambitious for the first year, given how much people change their minds about what experiments to run. Are you recommending starting the first year, or just as soon as you know what conferences/journals to apply to and what research program you might want to follow? I suggest starting the first year, even if it just includes the courses, and departmental deadlines only. (don’t forget there are lots of departmental and campus funding competitions with deadlines that will apply to you.) Adapt it on a semester-by-semester or annual basis as new vistas emerge. Would you mind sharing a “sample” five-year plan? How do we balance between realistic and too ambitious? That’s a great idea; i considered sharing my former student’s, but I’m not sure she’d appreciate that. Let me think about it. It might be useful to have several templates to show the different priorities/goals depending on where you are: ABD, first year on the tenure-track, etc. I agree, it would be really helpful to see a model of how to do this! I’ve been told by professors to slow down, have fun, and let experience come to me. One said, “people who time things always get it wrong.” But it’s really hard not to plan when most (if not all) of my grad school friends are ABDs. These ABDs talk about their dissertation research and writing and applying for fellowships, so these topics all in my head instead of coursework. How can you reasonably suggest this kind of 5 year plan with your (new) adviser? Or should this 5 year plan really wait until halfway or the end of the first year when some coursework has been done? A question: Would you recommend a month by month plan, or by semester/quarter, or do you just make a list of things you want to accomplish each year? Thanks. The one my student produced was a month by month grid, but not every month nec. had entries in it. Some months, like Nov., had lots of things, and then some months, like July, had nothing. A friend of mine nailed a tenure line position when she was asked what her 10 year plan was during the campus visit. She had an a detailed response ready and is now associate level at that University. There ya go! Everyone needs one! (Like a good moisturizer). My advisor, who is genuinely a kind person, tries to reassure me that these are just “window dressing” on my future job apps, but I feel like as far as my CV is concerned I’m in the same boat as someone who isn’t a careful, meticulous planner. My academic self-esteem is just in the toilet right now and I feel like a total failure. Oh dear. So, this is where you have to realize that you have a very nice, but rather worthless, advisor. Please read my post, The Top Five Traits of the Worst Advisors. The worst of all advisors is the nice advisor who keeps telling you that you’re fine, and everything is going to work out great. They need to deliver the bad news, BUT THEN, on top of that, assist you in immediate and concrete ways to improve. So here is what should have happened prior to this, if the mentorship had actually been ADEQUATE: your advisor would have observed that your conference abs. was rejected, and would have asked to look at it, and would have told you immediately what you did wrong, and overseen your rewrite for the next conference. Ditto, book chapter proposals (although you know I despise those anyway) and diss grants. In short, what is happening here is that you have not been forced to master the writing formulas of these proposals. And nobody bothered to tell you that, or perhaps even to inform you that there ARE writing formulas, and that writing proposals for articles, grants, and conference papers is completely formulaic. So this is of course bad and good news. The bad news is, this should and could have been corrected earlier. The good news is, you can correct it now. But you’ve got to move fast. It sounds like you’ve advanced pretty far under the current regime, and may be coming up on finishing. Don’t wait for your advisor to help. Don’t even bother to ask you advisor for help. Email me and I can direct you to the blog posts that will help you; that’s free. If you have some $$ to spend of course you can also work with me personally. Meanwhile, you’re not a failure. The fact that you’re commenting here on this blog shows that you’re walking in the right direction. You can still turn this around. Hm, according to the worst advisors metric, my primary advisor is a combination of two – nice, and never around. He’s an extremely ambitious associate prof who thinks I myself am ambitious enough to manage myself and reassures himself that he’s doing enough by dismissing my concerns/flattering me (so that he can focus on his career, most of which occurs far from our dept). Thank you so much for this and the numerous posts that have all been incredibly useful when put into practice. I was wondering if you could point me in the direction of free software or a web site that would allow me to create a five year grid like the one shown above. Or if anyone else knows, don’t hesitate to reply. i was actually wondering about that. I’m not sure what she used. It doesn’t look like Excel, actually. Most likely ’twas just the Table feature in MS Word (on a piece of paper oriented for landscape printing). Arrows (and more) can subsequently be overlaid using the Drawing toolbar. Might take a moment or two to set up–but once you’ve got your own template, it’s just a matter of adding deadlines and the like to it. Whiteboards also work for such plans: Although they’re not portable, they can be larger and allow more space for notes and details. Hi, there is lots of project management software out there that could be adapted for such purposes. I like Trello, although I don’t know if it would be great for this precisely. I would recommend looking around (if you search for ‘project management software’ you’ll find a number of different and free options). It’s a personalized type of software, but it can be really handy. Why I would recommend this over Excel or tables is that project management allows you to move different projects through phases. So, for instance, if you submit an article and it gets rejected, you could keep that on there and switch the plan to revise and submit elsewhere, maintaining a timeline. I hope this is helpful! Is it worth delaying your defence by a year in order to add publications and conferences to your CV, if these are areas in which you’re lacking? Coming from a Top 10, if that’s relevant. Thanks! Karen, the link to the follow-up post seems to be down. I found it. Just FYI. I am a real planner in my life, but when things have not gone as I’ve planned, I’ve learnt so slow down. I found it better for my mental health. Anyway, I am in the final stage of my PhD. I’d like to finish in a few months. I still don’t know if I will be able to have an academic job or if I should opt for a non-academic career. I was thinking to leave the door open for both possibilities. Should I write a double 5-years plan? One for academia and the other for non-academic career? And how could I plan, if I don’t know how the job market will be once I finish my dissertation? I think the double five year plan is an excellent idea! Please find all of Karen Cardozo’s guest posts on this site to read more about how to think about the post-ac option (and indeed, just devour ALL the guest posts in the “post-ac help” category for their deep insights.